ElastAlert is a framework that lets you set up easy & flexible alerts with Elasticsearch. If you have to manage huge amounts of data then you will find yourself one day wishing for a tool that would simply point out the anomalies or inconsistencies in the data and alert you in real time. ElastAlert is designed to exactly do that. 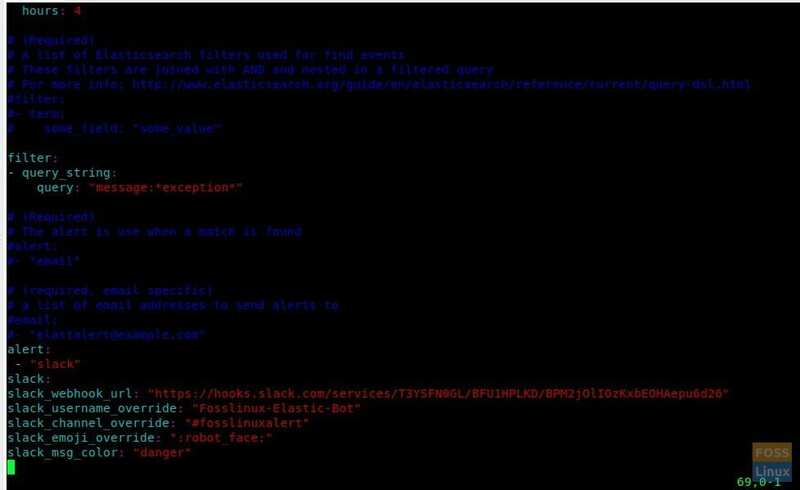 It is a simple framework that alerts when it detects anomalies, spikes, or other patterns of rules from data added in the Elasticsearch. For example, you could be setting up a ‘frequency’ alert, which will notify you when there is X number of events in Y time. Or you may want to be immediately warned when there is a ‘spike’ event, that is when the rate at which an event occurs suddenly increases or decreases. Currently, ElastAlert has built-in support for the following alert types. In this article, we show you how to install ElastAlert on ubuntu 18.04. Then you will get output for python 2.7. 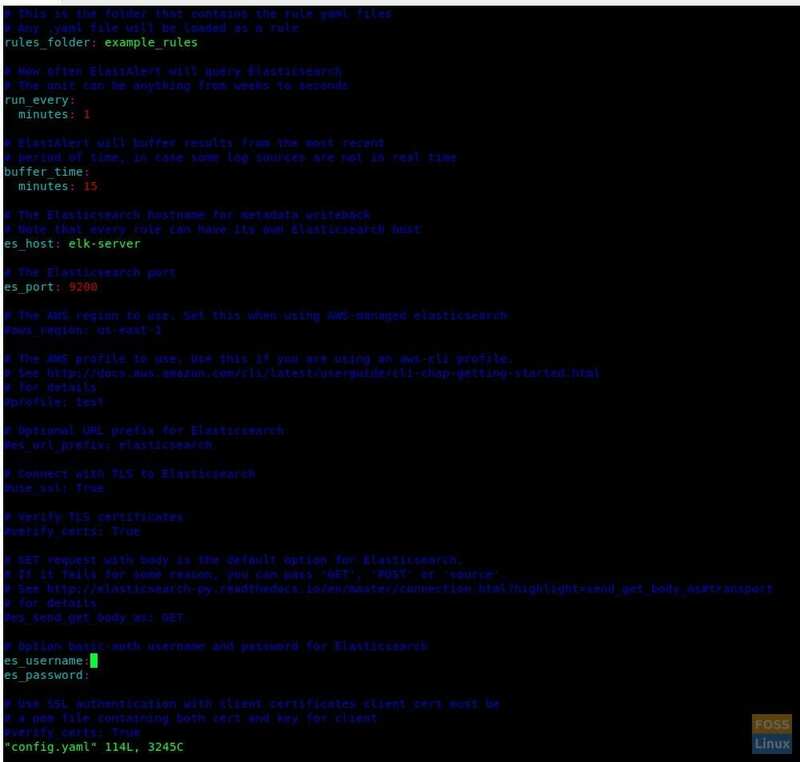 There are few different ways to install ElastAlert and here we are going to do the installation by cloning git repository. So we need to install “git” before proceeding. Usually, Ubuntu 18.04 has git already installed. This will give the details of the installed and candidate git versions. If you can’t see installed git version, run following command. We are going to clone ElastAlert repository to “/opt” folder, therefore change directory. Now clone a git repository. You may get an error like this. Here we are going to integrate with Elastic search 6.x. So Elasticsearch 5.0+ will be installed here. We cloned ElastAlert repo to “/opt”directory, so change directory before continuing. Uncomment the following lines and modify. Now define a filter for an alert. Here we filter keywords with the string “exception”. Configure Alter with Slack. 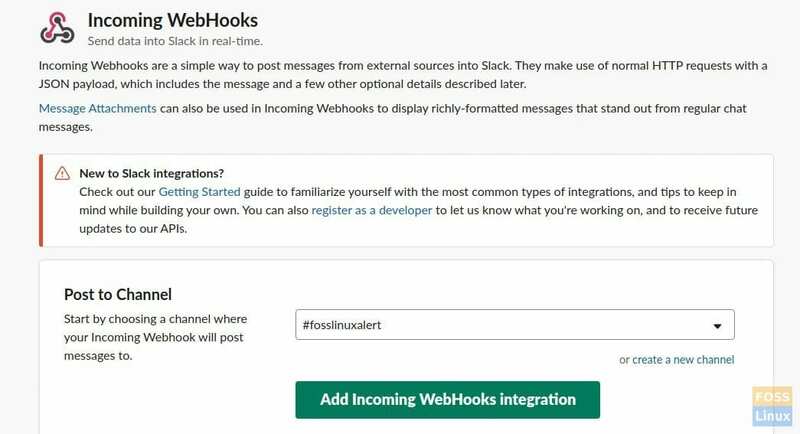 Here you need to create a Slack channel and incoming webhook. Then add configuration details as follows. 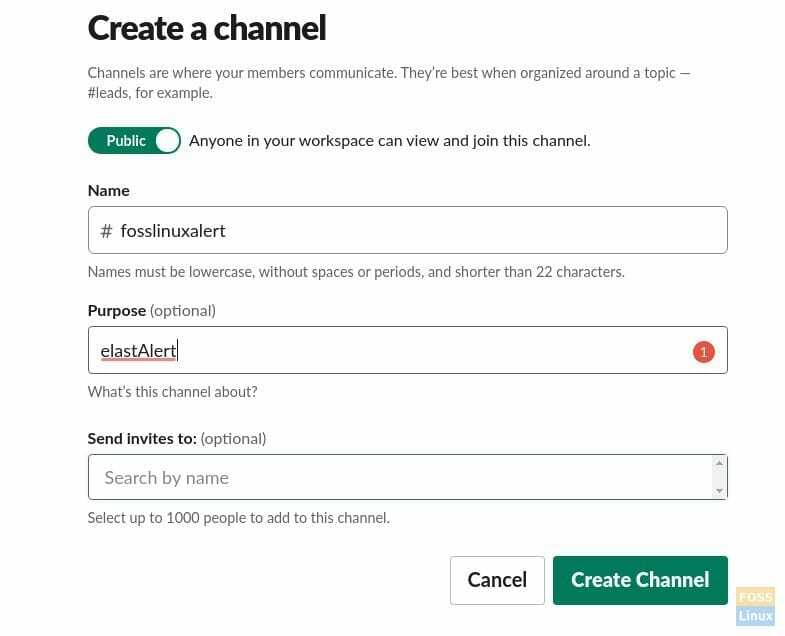 You can follow below steps to create Slack channel. If you don’t have a slack account, you can get one by simply signing up. 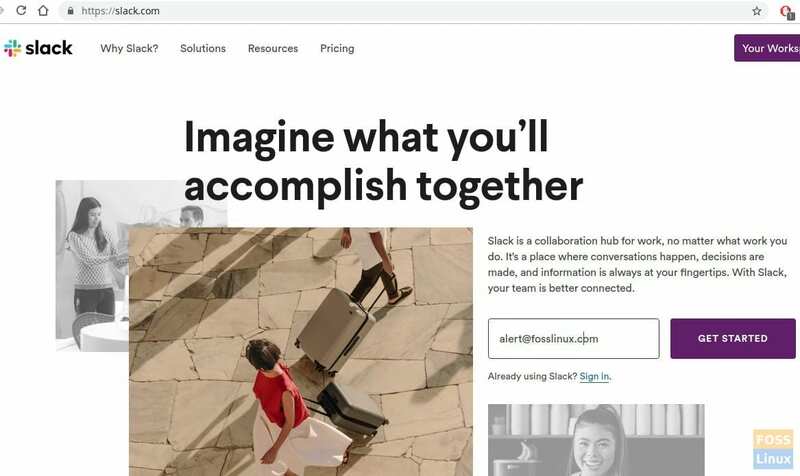 Go to “slack.com” and enter your email address and click “GET STARTED”. Then click ‘create new workspace’ and verify your email address. Now you can log in and view the dashboard. Then click on ‘Create new channel’ to create a channel for send Alerts. 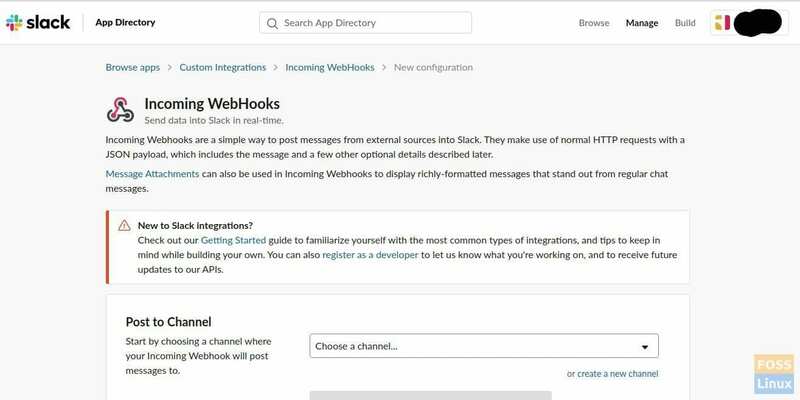 Then click the ‘Create Channel’ button and you will be taken to the Webhook integration page. Click ‘Add Incoming WebHooks Integration’ button. This will create integration settings. Run below command to test configured rule. We will start ElastAlert as a background service. This command should be run inside “/opt/elastalert/” folder. Now ElastAlert will begin to check queries on Elasticsearch (On ELK server). If there is a match it will shoot alert to Slack. Alert will go to Slack Channel. That’s it, we successfully installed and configured ElastAlert with the elastic search, and also set up alerts to Slack. We hope this exhaustive tutorial will help you to install ElastAlert and set up some rules to trigger alerts easily. Questions and feedback are welcome in the comments section. Hey! I'm Darshana, a Linux / DevOps Engineer and also a contributor to FOSS Linux. I enjoy working on various kind of Linux distributions and cloud technologies. During my free time, I love to swim and hike across nature trails. Linux is my love and I'm here to share all my learnings with all of you! Hope you enjoyed reading my article. Oracle VM VirtualBox is a free, open source, and powerful virtualization product for enterprise and home use. With frequently released versions, VirtualBox is actively being developed and has a growing list of features, supported guest OS and platforms. Have you ever thought that you need to try an android application on your Linux system? This is possible with a new application "Anbox".Anbox is a Linux system emulation tool. It can act as a layer between Android apps and your Linux system that are purely coded. It allows you to run and execute android applications on your Linux system. I am getting error when starting elastalert.